Muhammad Ali, also known as The Greatest, sadly passed away this week but his legacy will live on for years to come. Ali, formerly known as Cassius Clay, is probably the best example of a man believing in himself and not stopping until he has achieved his dreams you will likely ever see. Ali’s legacy will live long in the memory not just for his boxing skills, but his work as a person and all the lives he has changed throughout his years. His famous quote, “The fight is won or lost far away from witnesses - behind the lines, in the gym and out there on the road, long before I dance under those lights." can be viewed a pretext to how you can feel with regards exams and assignments. The hard work Ali talks about in the gym away from anyone else can relate to your revision, those nights sat in the study revising will pay off when you get into the exam hall, much like it did when Ali got into the ring. He knew all the hard work and preparation was done, all he had to do was deliver. And he invariably did, becoming World Heavyweight Champion in 1964 after defeating the much feared Sonny Liston. 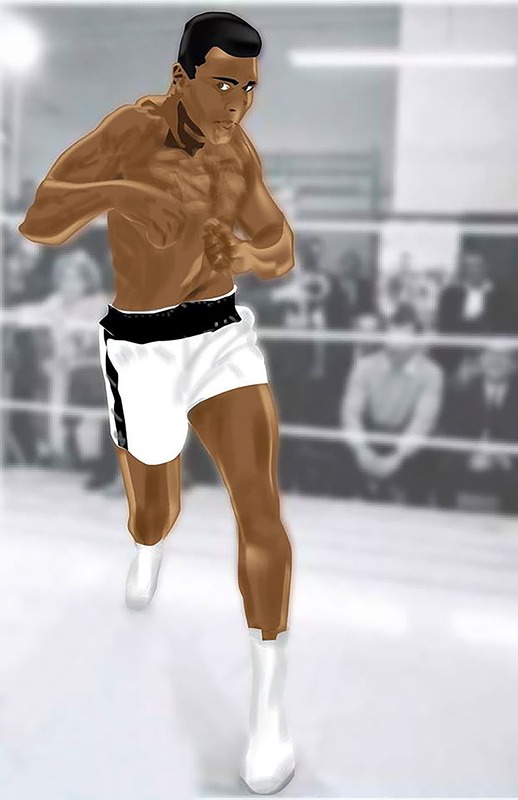 His first fight with Sonny Liston, Ali went in a 7-1 underdog, a large price for a standard boxing fight. However, despite the price and the journalist fears of him having no chance of winning the fight, Ali believed in himself and let everyone know just how good he was, or at least thought he was. Ali went on to win the fight and followed it up with a few outburst towards journalists ringside. The moral of this story, no matter how big the task or how many people say you can’t do it, with belief and hard work anything really is possible. Those hard questions at the end of the paper are possible, hard work with revision and preparation will lead to a greater chance of success, then it’s just delivering on the occasion. It is, however, his work out the ring which will cement his legacy with those unfamiliar with his work in the ring. His refusal to join the US army in the Vietnam war citing religious beliefs and a hatred of the war was a sign of huge intent, a famous sportsman standing up for what he believed in. He wasn't worried about potential jail time or losing his medals and trophies, he wanted to change people’s lives and his refusal started the campaign for equality worldwide. 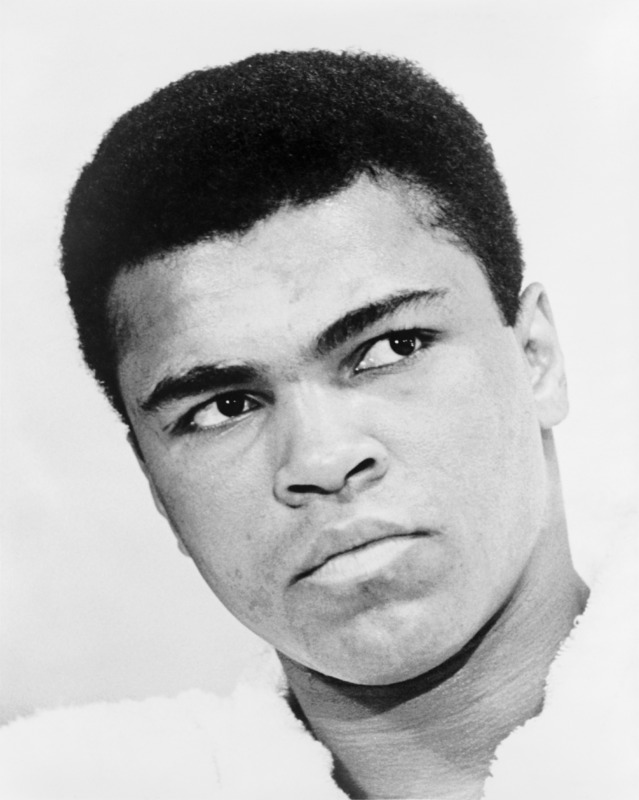 In 1984 Ali was diagnosed with Parkinson’s disease. Despite this, Ali traveled around the world as UN peace messenger in 2002 and was an Olympic torch bearer in the 1996 Olympics Games, 36 years after he had won the Gold medal for Boxing in Rome. His desire and strong willed nature helped him overcome all the obstacles that came with the disease and his passion for helping others shone through. Ali immediate stance towards the draft and its effects had sparked Martin Luther King to join the opposition to the war and eventually the civil rights movement. “I’m so fast that last night I turned off the light switch in my bedroom and was in bed before the room was dark”. "Ali’s got a left, Ali’s got a right – when he knocks you down, you’ll sleep for the night; and when you lie on the floor and the ref counts to ten, hope and pray that you never meet me again."